How do you keep an ID badge facing forward all day long? An important security requirement in healthcare, education, and many businesses, an employee’s badge often includes a current photo and their name so you can quickly and easily identify someone. 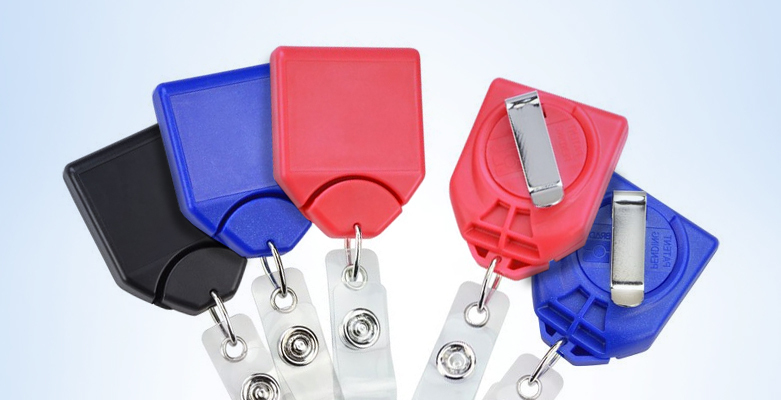 While lanyards may be the most common ID accessory, they aren’t the best option in this case – instead, you should look into no-twist badge reels! What’s A No-Twist Badge Reel? A badge reel works by attaching your ID card to the reel with a retractable cord. You can easily pull the card out to swipe or scan it to unlock a door, sign into a computer, or check out equipment, and then it automatically snaps back into place to stay out of your way while working. What makes no-twist badge reels unique is their retractable cords. These reels include a small plastic part that only fits back into the badge reel’s body in one way, keeping your badge facing forward and visible without any effort! What Other Reel Options Do You Have?